dang. i miss the x-files so much it hurts. i miss racing home monday nights so i wouldn’t miss an episode. i miss being intrigued by mind-boggling, outlandish conspiracy theories. i miss being ‘spooked’ by monsters — humans or otherwise. i miss the wacky paranoia of the lone gunmen. 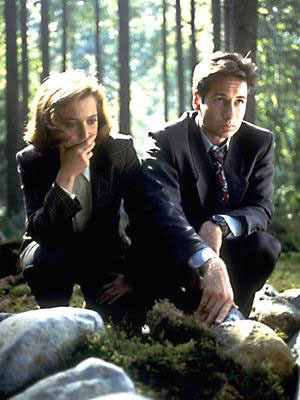 most of all, i miss mulder and scully. there will never be another show like the x-files. *sigh* dang. when these two are on the case, you can’t help but be glued to your TV screen. i don’t know of any other screen couple who can combust without so much as an eye contact. even nature’s call is conveniently swept aside when these walk into a scene and expound on their conflicting theories. the grisly nature of their job only adds to their chemistry. the first time i saw them together (in mulder’s dingy basement office) i couldn’t make up my mind whether i wanted to be scully or mulder. i liked mulder’s intensity and unflinching conviction, and yet i couldn’t help but be impressed by scully’s cool-headed logic. they just balanced each other out. and here… scully flashes her hard-won smile! after years of watching x-files, i can’t recall of ever seeing scully break into a spontaneous, no-holds-barred smile (well, except for that Las Vegas episode where she got drugged and kept flirting with a room full of enthralled guys… but that’s another story). there were times where her lips twitched and her eyes actually lit up — but that’s all it was. and gillian anderson’s grave, brooding looks are simply custom-built for this role. and of course, mulder — for all his horny tendencies and occasionally wacky episodes — had this impenetrably serious side to him. what can i say? they just look good together. in hollywood, it’s practically a near-imposssible task to find somebody (much less a couple) who can radiate formidable intellect and look yummy at the same time, but these two… they did it effortlessly. I love this pair!!! I hope there’s still more episodes to come!! More episodes to come ha!! Well said! 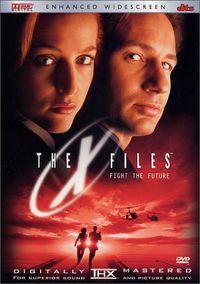 I miss The X-Files so darn much!!!!!!!!! the two were a match made in heaven . . . should never have gotten involved in relationship though. however . . . i really miss the series so much . 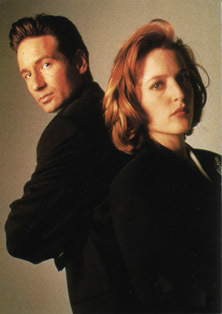 . . mulder ‘n scully were awesome together . . . wish they’d bring it back (continuation . . . not re-runs). hi-five to onyxx for this dissertation. to think i am in my mid-50’s . . . sheeesh. i know… there are other TV pairs who have snagged my attention for various reasons, but no one can ever match Mulder & Scully as a team — they are incomparable! I miss the show too. M&S were totally amazing together and as you say DD and GA were just perfect for the roles. Even as a totally straight female I couldn’t decide which of them I was most in love with! Scully was my role model for years, I just wanted to be her. I wish they’d make a third movie but a better one than the second!